The 1st November is here and I post the first Photo for my challenge. Have sat and thought about what it would be, what will be my first photo. Thought about something to do with motorcycles or the great out doors, that didn’t happen. Well was sitting in a friends house and spotted this cute little teddy sitting on the fire place. So got a post-it, grabbed a marker and there you have it. 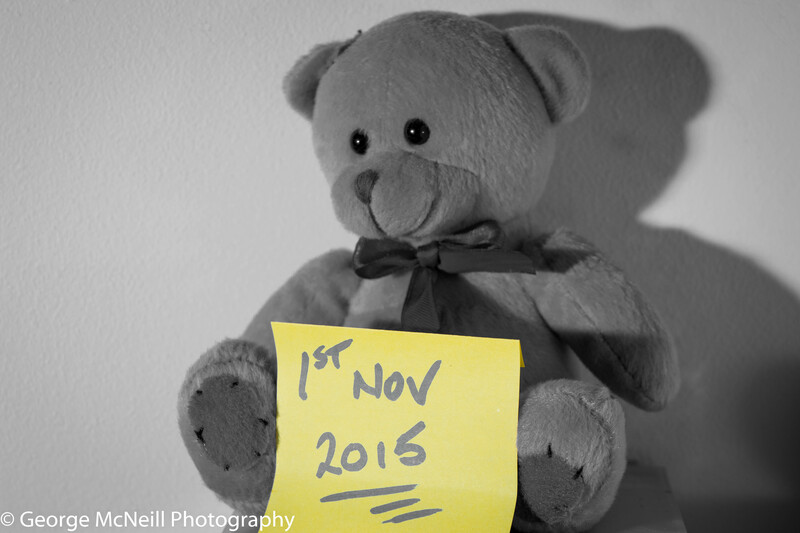 Well come to The 365 Shutter release challenge 2015.